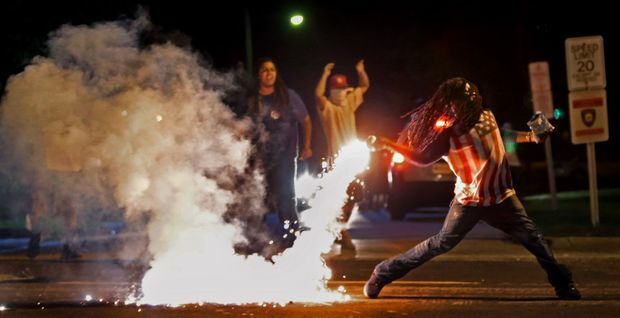 The United Media Guild congratulates its members whose work earned the Pulitzer Prize for Breaking News Photography for the St. Louis Post-Dispatch. The staff photographers covered the social unrest that followed the fatal shooting of Michael Brown in Ferguson last August. The photo staff consists of chief photographer J.B. Forbes, photographers David Carson, Robert Cohen, Cristina Fletes-Boutte, Christian Gooden, Chris Lee, Huy Mach and Laurie Skrivan; and director of photography Lynden Steele; photo editor Hilary Levin; and Gary Hairlson, director of video. “I am extremely proud of our photo staff for their coverage of the protests in Ferguson, and I am happy they have received this recognition,” Steele told the Post-Dispatch. “From August through November, the photographers displayed an amazing commitment to covering this story. They were tireless, brave, and dogged in their reporting. At the height of the protests, eight staff photographers covered Ferguson from 6:30 a.m. until about 3 a.m. They built relationships in the community, followed leads and made great, story-telling pictures.